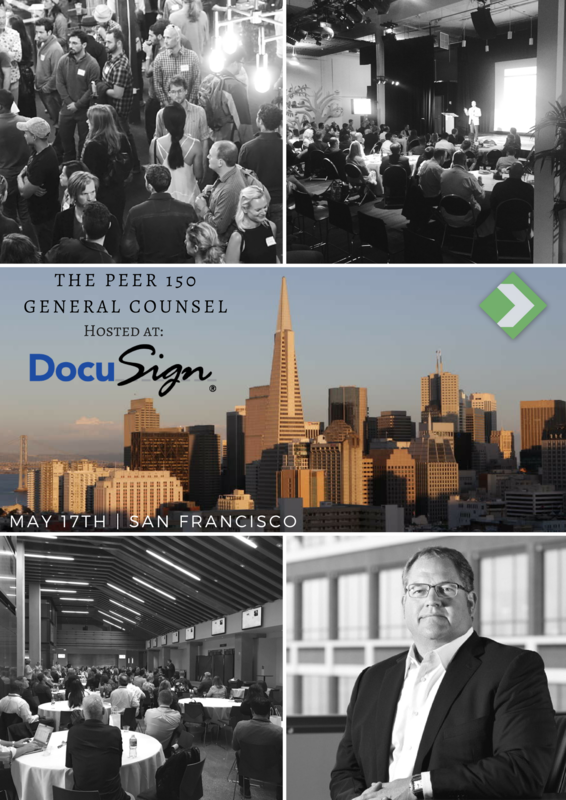 The San Francisco members of The PEER 150 are honored to host an evening of networking and content at DocuSign Headquarters. Attendance is open to senior legal executives approved by our PEER 150 team. We look forward to seeing you on Thursday, May 17th! 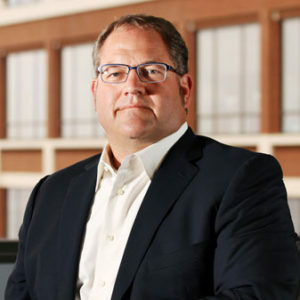 Reggie Davis leads DocuSign’s award winning legal and risk compliance teams in driving acceptance and adoption of e-signatures and transactions around the world. Prior to joining DocuSign, Reggie served as general counsel and EVP at Zynga, where he oversaw what was then the third-largest technology IPO in Silicon Valley history and was named “General Counsel of the Year” by the Silicon Valley Business Journal. Prior to that, Reggie served at Yahoo! as VP Search Quality and Operations, and Associate General Counsel for litigation and security. Prior to Yahoo!, Reggie was a partner at Hancock Rothert & Bunshoft (now Duane Morris). Reggie received his JD from Tulane School of Law and his AB with Honors in European History and Sociology from Harvard University. For more information about sponsorship, please contact BradCoen@thepeer150.com. In more than 100 years of practice, Steptoe has earned an international reputation for vigorous representation of clients before governmental agencies, successful advocacy in litigation and arbitration, and creative and practical advice in structuring business transactions. • challenging regulatory issues before the US government particularly agencies addressing energy, transportation, telecommunications, technology, the Internet, and the environment, as well as regulatory matters in Brussels, London, and Beijing. Steptoe has more than 500 lawyers and other professional staff across offices in Beijing, Brussels, Chicago, London, Los Angeles, New York, Phoenix, San Francisco, and Washington. Finnegan, Henderson, Farabow, Garrett & Dunner, LLP is one of the largest IP law firms in the world. From offices in Atlanta, Boston, London, Palo Alto, Reston, Seoul, Shanghai, Taipei, Tokyo, and Washington, DC, the firm practices all aspects of patent, trademark, copyright, and trade secret law, including counseling, prosecution, licensing, and litigation. Finnegan also represents clients on IP issues related to European patents and trade marks, international trade, portfolio management, the Internet, e-commerce, government contracts, antitrust, and unfair competition. For additional information on the firm, please visit www.finnegan.com. Major, Lindsey & Africa is unmatched in the legal talent we attract, the services that we provide and the global reach we possess. With recruitment office locations from Sydney to San Francisco and from Houston to Hong Kong, we have a global network of deeply experienced legal recruiters and consultants who are skilled at pinpointing the professionals and the opportunities that optimize careers, teams and organizations. For more than 35 years, the world’s leading law firms, lawyers and corporations have chosen Major, Lindsey & Africa to help them navigate the legal landscape. Osborne Clarke is an international legal practice with 25 offices, 740+lawyers and 250+ partners across Europe, Asia and the US. We have a small team based in Silicon Valley and San Francisco where our focus is on helping US companies who are expanding in to Europe and Asia (or beyond!) or who have an established presence there. We do not practise US law but instead we are able to provide some international legal expertise in time-zone through our US based lawyers and can otherwise help coordinate international legal advice and access to the relevant specialists within our local offices. Our lawyers are sector focused and can support clients with a full range of legal services including data privacy, immigration, IP, real estate, commercial terms and agreements, M&A, funding rounds, product liability, employment law, employee incentives etc. DocuSign® is changing how business gets done by empowering more than 300,000 companies and 200 million users in 188 countries to sign, send and manage documents anytime, anywhere, on any device, with confidence. DocuSign replaces printing, faxing, scanning and overnighting documents with the easiest, fastest, most trusted way to make every approval and decision digital. Organizations of all sizes and industries are accelerating contracts, approvals and workflows with DocuSign’s Digital Transaction Management (DTM) platform and eSignature solution. DocuSign keeps life and business moving forward.